" I like working with Nick as he has an easy manner and is someone who can be trusted. I feel I can draw upon his skills and knowledge to help me and I have enjoyed working with him to develop a deeper understanding of myself. Even though I had great self-awareness there are things which we have discussed which have been put into perspective and I am now able to look at issues more realistically without self-blame. " " The greatest benefit I had from the coaching was getting the job that I went for! Subsequently, after one year working with the police I used the service again. I was looking to further my career and use my past experience of local government and the arts. I applied for my current job and was successful once again. My career coach saw me through the whole process, building my confidence along the way "
" Career coaching has been enormously helpful in enabling me to clarify the things that are important to me, both in terms of my work/life balance and my overall career. Nick has also helped me to identify my strengths and take the steps to address the long-hours habit I had entered into. The coaching has helped me work out where I truly want to be in my life and given me additional insight and confidence to help me to get there "
" The coaching sessions were a formal opportunity to escape the day-to-day work regime, to take a step back, review my career and situation, and to create a roadmap for the future to guide me "
" I will never forget how empowering our coaching sessions were and constantly recommend you to friends who are at a crossroads. I am now in my second year of nurse training, I passed my first year with very high academic marks but more importantly - a number of job offers and an offer of publication for one of my essays. I genuinely believe I would not have achieved this without the confidence and insights I gained during our sessions. Thank you again for the helping me to uncover my potential and purpose in life! " " Nick was a super coach able to provide constructive input, experience and insight and some practical tips and tools on progressing issues - both work challenges and career progression. He was extremely professional. I would definitely want to utilise his services again and to recommend his service to others. " " The coaching process has boosted my confidence in my ability to be an effective leader and and I am no longer anxious about being a Country Director. It has helped me be more self-aware, particularly in the area of challenging patterns of unhelpful behavior. Through Coaching I have been able to improve the management of myself, especially under stress and learned strategies to manage upwards. 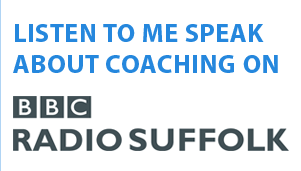 Coaching has helped me to feel confident in who I am and that I am on the right track. " " Coaching has increased my self-awareness and given me the inspiration to re-evaluate myself, my values, my career and personal aspirations. " " I have been working with Nick for a number of months, during this time Nick has helped me improve a number of areas in my thinking and awareness. He has done this through perceptive insight, challenging questioning and a very in depth library of resources and techniques that he uses to help you cement the learnings from each session. He has a patient manner and is very approachable and appears to really care about his clients wellbeing. I can thoroughly recommend Nick to anyone. " " I began working with Nick on the recommendation of a trusted acquaintance. At the time, despite being a psychology graduate, a professional woman currently working in the nuclear industry with 25 years of communications experience and a qualified life coach myself, I was stuck in a period of painful indecision and anxiety. " " Working with you has helped me to completely shift my perspective of what I'm entitled to, what I'm allowed to want, what I can expect, and what I can hold myself and others too. That all now feels far more real, that I'm allowing myself how I really feel, than it ever used to. " 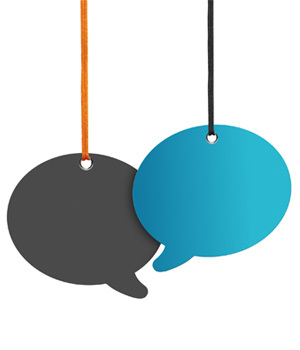 " What’s different between your coaching and the counselling which I’ve had in the past is that you don’t just listen and empathise - you also challenge me, ask difficult questions which get me to think, create structure, focus on what I want and support me in moving forward. " " I have personally found your coaching very helpful in sorting out some problems I had with stress and depression.... I hadn't expected it to be as helpful as it has been and so quickly "
" What brilliant coaching. You must feel like Sherlock Holmes! 'Once I explain my method, it seems so simple.' You tell me the things I do already, except until you speak I don't apply what I know to myself and my problems. You intuit just where the pressure points are to make me go and do some of my own learning - so much more powerful. You provide the pen so I can join up the dots. " " Coaching has increased my self-awareness and given me the inspiration to re-evaluate myself, my values, my career and personal aspirations. It has helped me to identify and focus on what is important - relationships with family and friends, work life balance, and fun and recreation. It has enabled me to take time to reflect on areas in my life and on issues I would not have normally looked at, nor addressed. I feel inspired and motivated to go out and make things happen both at work and on a personal level. " " When you come to a session with Nick you can feel like muddied water. You bring your jumbled thoughts to the call and calmly, and with insight, connection and care Nick will help the sediment settle and help you see more clearly in the water above. I thoroughly enjoyed coaching with Nick. His work is deep, supportive and gentle but very powerful and I would recommend his coaching to anyone who wants to bring clarity out of confusion. " " Nick has been an inspiration to me in terms of enabling me to speak frankly about my issues without fear of criticism and encouraging me to move forward. I like working with him as he has an easy manner and is someone who can be trusted. I feel I can draw upon his skills, knowledge and experience to help me. I have enjoyed working with him to develop a deeper understanding of myself which has enabled me to obtain a different perspective and look at my issues more realistically without self-blame. He is non-judgemental, caring and flexible. " " Coaching has helped me work out truly where I want to be in my life and given me additional insight and confidence to help me get there. " " I don't think it is overstating it to say that being coached by Nick has been a life-changing experience. " " The biggest and most important help which coaching has given me is around relationships. That has been game-changing. It's helped me to become comfortable and confident in what I want and need from a relationship, in asking for it, in finding a way to show my vulnerability and lean on someone else, without feeling like I'm at risk of losing myself or making myself weak. I've already had one relationship where I tried putting that into practice. I feel like I'm now far far better equipped to develop and maintain a healthy, fulfilling long-term relationship. That's a huge shift for me, and feels like a major key to life. " " I can honestly say that my coaching sessions are helping me to grow personal and professional relationships to a new solid level. " " These sessions have been a real turning point. They've enabled me to sort out my work-life balance both physically and emotionally. They've been helpful in addressing relationship difficulties and increased my sense of awareness of others. I no longer feel that I have to be responsible for everything and help everyone - I don't have to be flavour of the month. I am making better choices, responses and decisions. I have been impressed with your openness, willingness and readiness to support me throughout the coaching	"
" I had suffered from a challenging relationship with my line manager which had left me feeling bullied and harassed. Using coaching I was able to accelerate my recovery through using thinking and rehearsal techniques with my coach. "